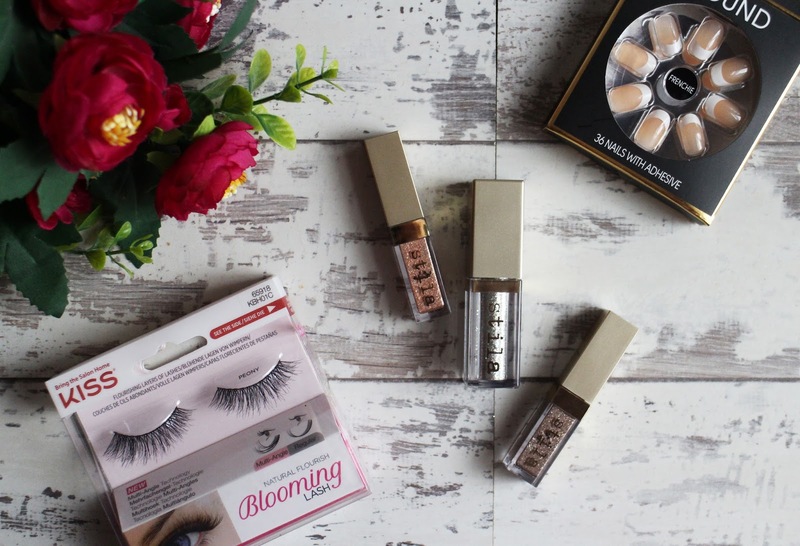 The festive season is now officially upon us and for most people that usually means a lot of get together's, nights out and parties; getting ready and doing a full face of make up is one of my favourite things so i thought I'd share with some of products that i think are perfect for the festive party season. These are the perfect way to get that full on glam glittery eyeshadow look without having to apply actual glitter; i don't know about you but I'd be scared of getting glitter all in my eye. My personal favourite shade it Diamond Dust, a sheer silver with multi-coloured sparkles but i also have Kitten Karma, a champagne with silver and copper sparkle and Smoky Storm, a light pewter with silver sparkle - they are all really beautiful shades and they're so easy to use; they have a gel like consistency, stay in place all night and are so intense. They're really comfortable to wear and make it so easy to create an easy glam glitter eye look. 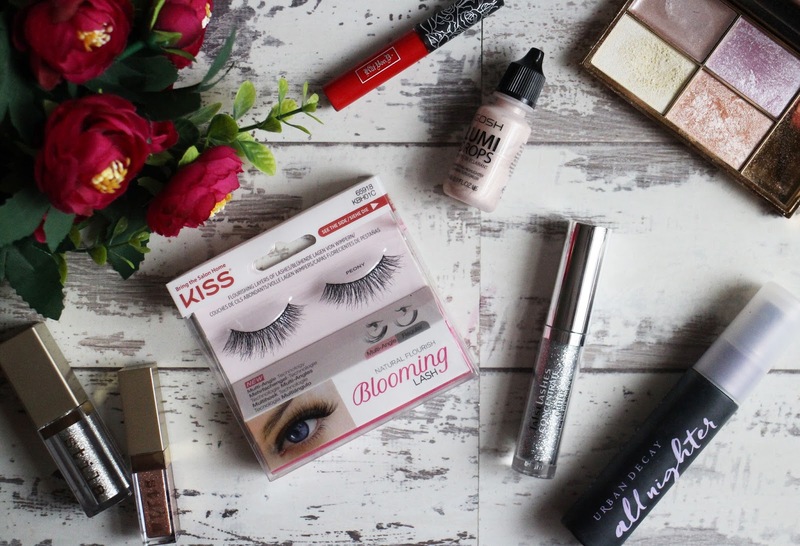 Regardless of the time of year, for me a full make up look just isn't complete without lashes and some of my personal favourites to wear are the Kiss Lashes especially the Blooming one as they have double layer that give you fuller looking lashes. I've never had an issue with Kiss Lashes; they're easy to apply and really comfortable to wear. I like to apply mine with Duo lash glue so i don't actually know what the adhesive that comes with it is like but i don't have any issues with them coming away from my own lashes. Also if you look after them well enough, you can get multiple wears out of them. I know nowadays most people go for acrylic or shellac nails but due to the job i work in, it's just not worth it for me as my job is quite physical and my nails takes a beating, Christmas is also our most busiest time of the year. So if i want something a little more fancy looking that a coat of nail polish - i love to wear false nails especially Primark's, they're ridiculously cheap, easy to apply not to mention they come in a wide range of shapes, patterns and colours. My personal favourites are the french tip nails as they just look so neat and classy - i find these really comfortable to wear and if I'm not working they can actually last a pretty good amount of time. 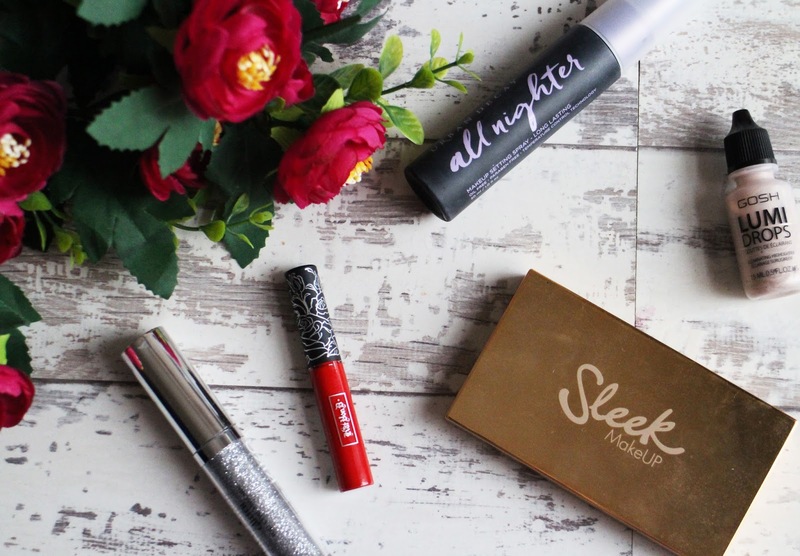 Would a festive make up look be festive if it wasn't for a classic red lip? The formula of the Kat Von D Everlasting Liquid Lipstick are one of my absolute favourites; they're really creamy, comfortable to wear and dry down matte. The colour Outlaw is a gorgeous classic true red shade, it's so pretty and it lasts on the lips for hours. This is definitely not a necessity; it's very much a fun, novelty style product to use if you want to be that little bit extra over Christmas but if you don't want something quite as intense as the Stila Glitter and Glow Liquid Eyeshadow but you still want to add a little sparkle to your look, this is the perfect compromise. Apply your mascara as normal and this goes on top of that to add glitter, its nothing too intense but it's definitely noticeable and looks really nice. I've never actually spoke about this on my blog before which I'm surprised at because i use it quite a lot - it's a liquid highlighter/illuminizer style product that i like to wear this underneath my foundation to give a natural healthy glow to my skin, you can also mix this in with your foundation for an all over glow but i concentrate it more on highlighting my cheek bones, temples, down my nose etc... It's the perfect way to get a more natural highlighter glow if your someone who doesn't like an intense highlighter because it's nice and subtle but it's looks really pretty. I however, am someone who loves an intense glow, so i also like to go in with a powder highlighter later on. I rotate between a lot of different highlighters but one that i use a lot if my trusty Sleek Solstice Palette. I don't use the cream highlighter but the three powder highlighters are stunning and all of them give the skin a beautiful and intense glow. Regardless of your plans whether its a night out, a house party or fancy do somewhere you want your make up to stay in place and to last all night so regardless of whether you go for natural make up or an all out glam full face the Urban Decay Setting Spray is amazing. I can see a massive difference in my make up when i don't use this, i use it pretty much every single night out or special occasion and my make up more or less looks just as good as when i first applied it. What are you Festive Beauty Must Haves?